Sony has taken the wraps off its latest laptop range, announcing updates to its Vaio E and Vaio C range. Although not in the same league style wise as the Sony Z series, both the E and C range add some texture and colour respectively to the laptop market. The Sony E Series consists of two screen sizes: 15.5-inch and 17.3-inch. The laptops have been given a textured finish - while we presumed this was so that you can find your laptop in a darkened room, Sony believes that the new texture makes the laptop easier to hold while on the go. The Vaio E series has a number of features, including Blu-ray playback, a Quick Web button, HDMI output, Bluetooth 3.0 and a keyboard which has a separate numerical keyboard, so all you number crunchers out there can breathe a sigh of relief. If you prefer colour over texture, then the Vaio C range is the one for you. The C series offers up laptops in 14-inch and 15.5-inch screen sizes and also gives you a choice of fashion colours. Essentially this means colours so garish, that you need to fashion sunglasses to shield your eyes. If you want to be really trendy, like Shoreditch circa 1998, then you can also choose to have your laptops emblazoned with LEDs which will give your computer a 'glow' apparently. Be warned, this glow may light up your life but it is no substitute for a real-life person. If you opt for the larger size, then you can have a Blu-ray drive, there's also USB 3.0 on board and Bluetooth 3.0. The laptops are also 3D capable – well, the HDMI port is, so you can play 3D Blu-rays through the laptop. 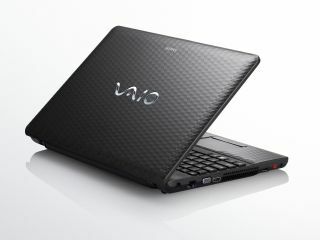 The new Vaio range UK release date is July, with the C series pricing from £599 and the E series from £469.